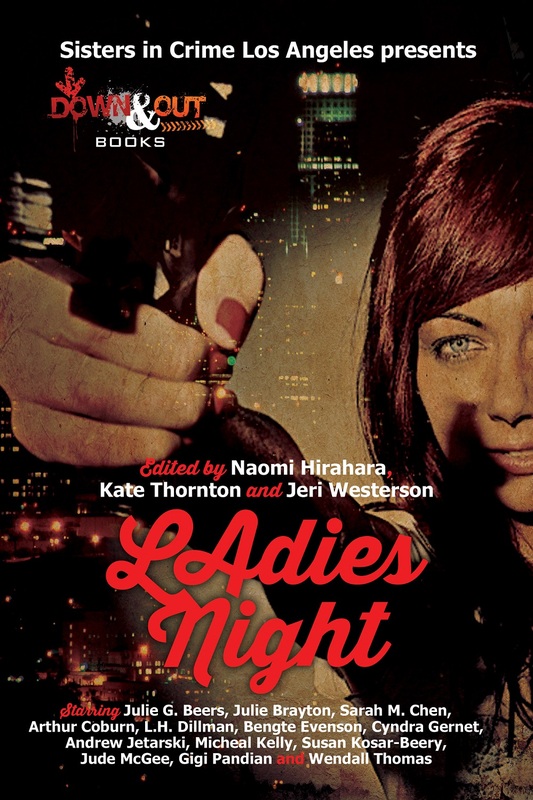 "Canyon Ladies," by Sarah M. Chen, in Sisters in Crime Los Angeles presents LAdies Night, edited by Naomi Hirahara, Kate Thornton, and Jeri Westerson, Down and Out Books, 2015. Before we get to the main order of business, may I grumble a bit? No one has ever been able to stop me before, so I guess I can. This is always an awkward time of year for me. I have run out of paper magazines to review. That means I either have to buy paper copies of anthologies or get e-versions and in that case I need to drag my iPad to work to read them on my lunch hour. Yeah, poor me. None of this is a complaint about this book, which I am enjoying. In fact, I am grateful to SIC-LA for publishing over the summer. So many anthologies come out in late fall. Just in time for Christmas shopping, sure, but a real bummer for people trying to finish their reviews of 2015 before 2016. Speaking of kvetching, Chen's narrator has a reason or two to complain. Shelby's husband has been caught in dirty business dealings and, although he was miraculously (and suspiciously) acquitted, the social world of Laurel Canyon has not forgiven him. His wife, innocent of any wrong-doing, is a social pariah. Shelby's having a hard time coping. "I looked in the mirror as I washed my hands, and shame, wearing last season's bathing suit, stared back at me. I bet this is how the fat girl in school felt like every day." But she a plan for vengeance. The question is: on whom, exactly? 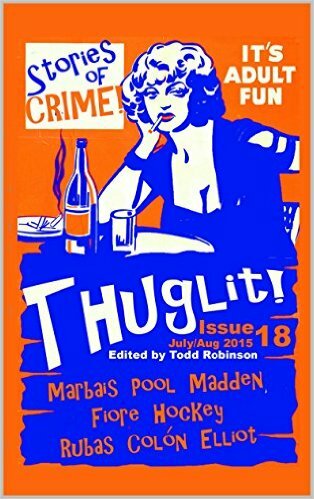 "Canary," by Matthew J. Hockey, in Thuglit, 18, 2015. There is a streak of puritanism running through some noir literature. Take one step off the straight-and-narrow and you are inevitably doomed. Things keep getting worse and every attempt you make to correct your path only drags you inexorably toward the pit. Which brings us to Booster, a fireman with a chemistry degree, which earns him the dubious privilege of being the first into a meth lab gone deadly. He's the one who enters first in full HAZMAT gear and has to determine if all the idiots inside were killed by the poisonous brew they created or whether there might be survivors. Excellent story that kept surprising me. 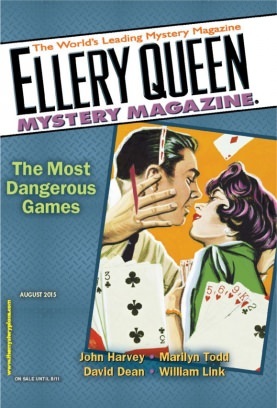 "Mr. Kill-Me, by David Dean, in Ellery Queen's Mystery Magazine, August 2015. With this story by my SleuthSayers blogmate David Dean, it seems unnecessary to ask: where did you get your idea? Anyone who has ever had a close call on the road will probably think they can guess. Larry is a real estate agent in a shore town. One day he backs his BMW out of a driveway and almost hits a man on a bicycle; a strange homeless-looking guy with angry eyes and a weird smile. The biker disappears before Larry can confront him. A few days later, driving down the road, the biker pulls out in front of him again, seeming to demand to be run over. What the hell is going on? Is Larry imaging things? Is someone plotting against him? If so, what the hell is the purpose? I should say I saw the end pages before it arrived, but it's a hell of a tale, and worth the trip. 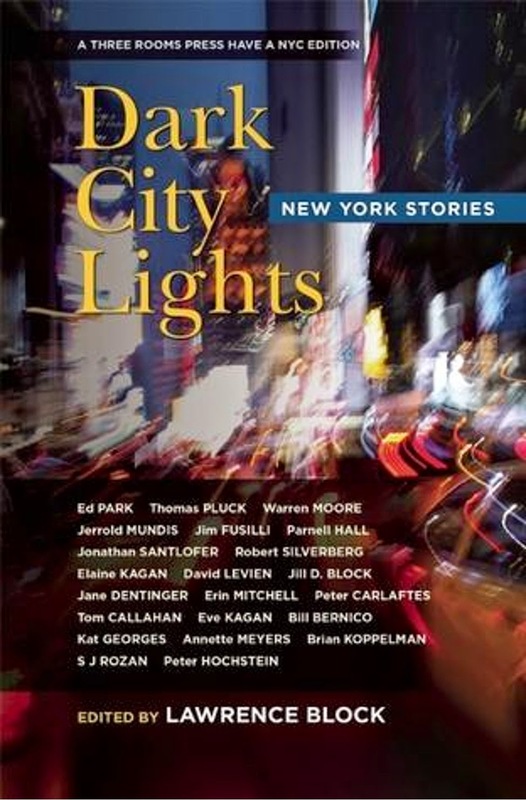 "Knock-Out Whist," by David Levien, in in Dark City Lights, edited by Lawrence Block, Three Rooms Press, 2015. This is a story about the levels of life in New York City, and those going up versus those going down. Jerry Riser - a riser is, of course, one who rises; it is also the part of a step that doesn't get stepped on - is a disgraced ex-cop, reborn as a shady private eye. He has just finished a big case for one of the people at the top, causing major trouble for another one, a mayoral candidate. The politician sends thugs around to find out who hired Riser, and they offer his choice of a beating or a payoff. He could also use the cash. On the other hand it was a question of honor, the old vintage. There were still a few bottles of it left around, and once it was uncorked, it was sticky stuff. One of the best P.I. stories I have read this year.